Karolina Kluk gave two talks in Brisbane on "The effects of noise exposure on young adults with normal audiometric hearing". The first was at the 16th Australasian Auditory Neuroscience Workshop (1 December). The second was at the Australasian Neuroscience Society Conference (4 December), where she also presented a related poster. On her return from Australia, Karolina gave a talk at the Christmas Symposium of the Hearing Research Group at St John's College, Cambridge. Sam Couth gave a talk entitled "Music to their ears? The effects of noise exposure on musicians hearing health and reasons for non-use of hearing protection" as part of the British Society of Audiology e-Conference. A paper entitled Acoustic MEMR thresholds in humans with normal audiograms: No relations to tinnitus, speech perception in noise, or noise exposure was accepted for publication in a special issue of Neuroscience. Chris Plack gave a talk on Reliability and interrelations of proxy measures of cochlear synaptopathy at the Acoustical Society of America conference in Victoria, Canada. Hannah Guest gave a talk on Relations between speech perception in noise, extended high frequency audiometry, and physiological measures of noise exposure. Karolina Kluk gave a 1-hour talk, "From Hidden Hearing Loss to Hidden Hearing", at both the Hearing Hub in Sydney (28 November) and the Bionics Institute in Melbourne (30 November). Chris Plack gave a talk on "The Hidden Effects of Noise Exposure and Age on Hearing" at the Specsavers Professional Advancement Conference in Birmingham, 21 October 2018. Chris Plack gave a talk on "Reliability and interrelations of proxy measures of cochlear synaptopathy" at the British Society of Audiology Basic Auditory Science meeting in Newcastle. Hannah Guest presented a poster summarising the results of five studies conducted by our lab, each investigating relations between lifetime noise exposure and measures of cochlear synaptopathy. A paper entitled "The Noise Exposure Structured Interview: An instrument for the comprehensive estimation of lifetime noise exposure" was accepted for publication in Trends in Hearing. Dr Karolina Kluk attended the International hearing Aid Research Conference in Lake Tahoe, USA. Karolina presented a poster titled "Effects of noise exposure on young adults with normal audiometric thresholds" which summarised the results from studies lead by Hannah Guest, Garreth Prendergast, Rebecca Dewey and Samuel Couth. Dr Garreth Prendergast has now taken up a faculty position within the Manchester Centre for Audiology and Deafness. Congratulations to Dr Hannah Guest who recently defended her PhD thesis successfully and is now in position as the post-doctoral research associate on the grant. Dr Andrew Causon, a audiology student on the Scientist Training Programme is collecting data on a project which some team members have been involved in. Andrew is measuring acoustic reflex thresholds and acoustic reflex growth and using noise exposure as a predictive variable. This project aims to follow-up recent work published which indicates listeners with tinnitus show significantly reduced acoustic reflexes, and that a loss of cochlear synapses could account for this altered response. Chris Plack gave a talk on "Cochlear Synaptopathy" at the 12th International Workshop on Advances in Audiology, hosted at the University of Salamanca and organised by Enrique Lopez-Poveda. The steering commitee met in Manchester, with the Manchester and Nottingham teams joined by Stefan Launer (Phonak), Ralph Holme (Action on hearing loss) and Mike Heinz (Purdue University) to look backwards to discuss milestones and acheivements of the project and to also look forwards to plan the research and outreach which will form the remainder of the grant and also to prioritise the oustanding questions which we feel require further study. A paper titled "Supra-threshold auditory brainstem response amplitudes in humans: Test-retest reliability, electrode montage and noise exposure" was accepted for publication in Hearing Research. A paper titled "Impaired speech perception in noise with a normal audiogram: No evidence for cochlear synaptopathy and no relation to lifetime noise exposure" was accepted for publication in Hearing research. This work is from the PhD of Hannah Guest, who has been an active member of the groups work into human manifestations of cochlear synaptopathy. Chris Plack also wrote an article for ENT & Audiology News which discussed our current understanding of Hidden Hearing Loss in humans. The ARO midwinter meeting was a chance for members of the team to update researchers in the field of Hidden Hearing Loss with our recent work and to learn how the field as a whole is progressing. The team organised and chaired a symposium on the "Human aspects of cochlear synaptopathy" which featured talks by Chris Plack, Enrique Lopez-Poveda, Stéphane Maison, Hari Bharadwaj, Sarah Verhulst, Elizabeth Beach and Naomi Bramhall. The study protocol for the fMRI aspect of the research project was accepted by JMIR Research Protocols and the paper is titled "Imaging the physiological bases of “hidden” noise-induced hearing loss"
The group met up in Nottingham to discuss plans for the year, current trends and evidence in the field of noise-induced hidden hearing loss in humans, and to review the preliminary fMRI analysis performed. A number of the team are attending ARO 2018 in San Diego, CA. We are hosting a symposium on Sat 10th Feb titled "Human Aspects of Cochlear Synaptopathy" and have invited a number of emminent researchers in the field to give their perspective on current issues and future directions of this topic. Professor Chris Plack was invited to a workshop in Boston, MA, which gathered together a wide range of researchers with an interest in hidden hearing loss in humans. There was discussion of recent studies in the field, both of those reporting evidence of hidden hearing loss in humans and those reporting little evidence for such a phenomenon. A number of laboratories are now advocating the use of the middle ear muscle reflex as a more sensitive indicator of hidden hearing loss in light of recent findings showing that listners with tinnitus show an altered acoustic reflex. 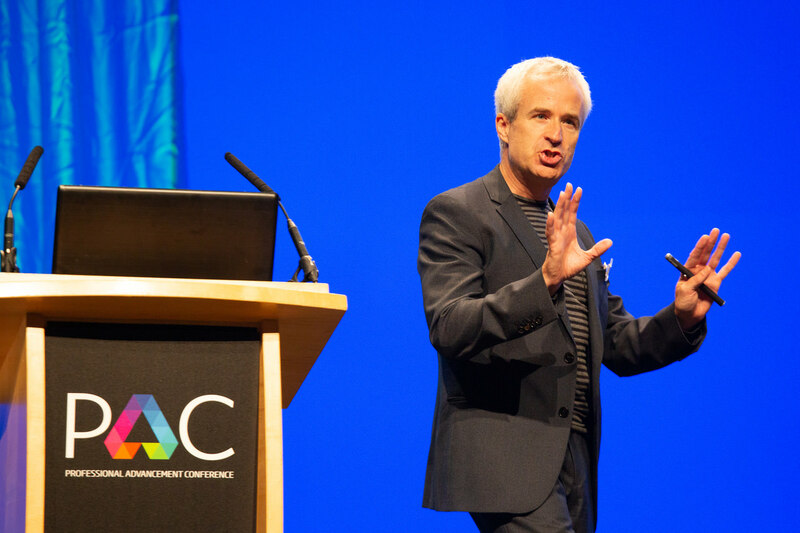 Professor Chris Plack gave a keynote talk on "Hidden Hearing in Humans" at the British Academy of Audiology annual conference (Bournemouth, UK). Two papers were published from the group this month on the topic of hidden hearing loss. Hannah Guest continued her valuable PhD work on the issue of hidden hearing loss and its relation to tinnitus and listening difficulties. Hannah's current article "Tinnitus with a normal audiogram: Role of high-frequency sensitivity and reanalysis of brainstem-response measures to avoid audiometric over-matching" considers whether studies which explicitly match groups of listeners for their high-frequency hearing sensitivity actually make it more difficult to observe any genuine differences in auditory processing. The second publication comes from the main body of data collection of the grant; "Effects of noise exposure on young adults with normal audiograms II: Behavioral measures". This paper compliments our earlier 2017 publication which reported the electophysiological responses of this same cohort. The current paper highlights that, although there are some relations that are worthy of further study and consideration, the evidence indicates that lifetime noise exposure has little impact upon performance on a range of laboratory-based tasks. Professor Chris Plack gave a keynote lecture at the 2017 Canadian Academy of Audiology meeting in which he summarised recent findings from the laboratory. Data colleciton continues at pace in Nottingham on the fMRI component of the project. Dr Rebecca Dewey is the post-doctoral research associate performing this part of the work. Rebecca has also found time to engage the public and wider auditory communities in a number of innovative ways. Rebecca spoke on a number of topics at a British Science Association event and also worked as a producer on Radio 2's Jeremy Vine show as a British Science Association Media Fellow. Data collection continues in Nottingham and Manchester. Research articles are being submitted and redrafted and the group are working (led by Hannah Guest and Prof. Deb Hall) on a comprehensive document which aims to formalise how best to estimate the lifetime noise exposure of an individual. It is our hope that this might help bring some consistency and rigour to an area in which currently there are many overlapping and differing techniques. In a project related to the main programme grant, Dr Sam Couth has completed the first phase of a longitudinal study which aims to test and then re-test the auditory evoked potentials of a group of musicians and a comparable group of non-musicians. The project as dual aims of looking at the health of musicians in general and also the degree to which sub-clinical hearing deficits are a real concern in this cohort. This work is funded by the Colt Foundation. Prof. Chris Plack was again recruited by the BBC to contribute to a programme on hearing healthy. Watchdog: Noisy Appliances looked at the sound levels produced by a range of domestic applicances, such as washing machines and hairdriers and the extent to which our hearing is potentially compromised on a daily basis by devices which are unregulated and too loud. The programme aired on the 19th July. Professor Deb Hall chaired a session and gave a series of talks at the 13th European Federation of Audiology Societies (EFAS) Conference (7th – 10th June; Interlaken, Switzerland). Deb also presented a poster on behalf of the group which summarized the work of Hannah Guest and how tinnitus may, or may not, relate to a loss of cochlear synapses. Dr Garreth Prendergast and Dr Rebecca Millman attended the British Society of Audiology conference (BSA; Harrogate, UK) where it was great to discuss the issue of normal audiometric function with listening difficulties with a range of clinicians and hearing aid dispensers in order to get their patient-centred view and expertise on these complex issues. Our 4th annual advisory meeting was conducted in Manchester. The full UK team were present, along with Project Partners Ralph Holme (AoHL) and Stef Launer (Phonak). We had a a wide-ranging discussion which touched on our publications and current work, the projects that will shape the remainder of the grant, and the interesting avenues and challenges which will be worth of further study in the coming years. Prof Chris Plack, along with Hannah Guest and Keith Wilbraham were invited by the BBC to work on an episode of “Health: Truth or Scare?”. The episode was broadcast on 25h April and sought to establish whether modern advances in technology, specifically audio-visual equipment, has contributed to a decline in perceptual aspects of our health. The results are interesting and thought provoking, as it becomes clear than many people simply do not consider personal music players as posing any risk to their health. The Manchester and Nottingham team had meeting in Manchester. We had a productive discussion about the future as well as summarizing our work to-date and keeping everyone apprised of recent developments. A second phase of data collection is about to start in Manchester, whilst data collection (EEG, behaviour, structural and functional MRI) continues at pace in Nottingham. We have decided to propose a symposium on cochlear synaptopathy in human listeners for the 2018 ARO midwinter meeting. This will allow us to bring to together a number of different laboratories who have been working on this topic over the past few years to establish some clarity regarding agreement and remaining controversies in the field. The group have two articles published this month. The first empirical data from the programme grant form the basis of the first one and describe the lack of evidence found between lifetime noise exposure and altered electrophysiological responses. Prendergast et al. (2017) Effects of noise exposure on young adults with normal audiograms I: Electrophysiology. The second is a related piece of work which focuses more on whether cochlear synaptopathy could be a cause of tinnitus with a normal audiogram. This work is funded by Action on Hearing Loss and is primarily conducted by PhD student Hannah Guest. It uses a complementary approach to the study by Prendergast et al., and reports similar findings; a sparsity of evidence for noise-induced cochlear synaptopathy. Guest et al, (2017) Tinnitus with a normal audiogram: Relation to noise exposure but no evidence for cochlear synaptopathy. The team had a great time at ARO. There was interesting work on cochlear synaptopathy both in animal models and humans. Of particular interest were the studies on macaques and the potential difficulties of seeing synaptopathy as clearly as in the rodent models. The ARO Midwinter Meeting is held in Baltimore in February and 8 researchers from the University of Manchester will be in attendance. Most of these researchers are involved in the current project or related projects. The project partners from Nottingham are also in attendance. We have 5 posters which are in some way related to the study of noise-induced synaptopathy in humans. We would be very happy to discuss this work and our future plans if you also happen to be in attendance. Poster 150. Investigation of Low-sound-level Auditory Processing Deficits. Poster 268. Reliability of Wave I of the Auditory Brainstem Response and Relation to Noise Exposure. Poster 298. Novel MRI Techniques for Examining Structure and Function of the Central Auditory Pathway. Poster 525. Tinnitus with a Normal Audiogram: Relation to Noise Exposure but No Evidence for Cochlear Synaptopathy. Poster 646. Behavioral Measures of Hidden Hearing Loss in Audiometrically Normal Young Listeners. The group have been planning conference attendance, presentations, posters and publications for 2017. Ethics applications are in the process of being drafted and submitted to move onto secondary, follow-up studies to compliment the large-scale study already conducted. Karolina Kluk was invited to speak at a session organised by Professor Mike Heinz at the 5th Joint Meeting of the Acoustical Society of America and Acoustical Society of Japan, in Honolulu, Hawaii. The session topic was "Psychological and Physiological Acoustics and Speech Communication: Perspectives of Research in Overlooked hearing Problems". The talk was titled "No evidence for hidden hearing loss due to noise exposure in young adults with a normal audiogram" and outlined a preliminary analyses of the behvioural data collected as part of the first phase of data collection. Chris Plack presented a poster at The Lancet Neurology Conference, London. "Sub-clinical Auditory Neural Deficits in Patients with Type I Diabetes Mellitus" presented the work of PhD student Arwa AlJasser. Arwa's work is based on much of the same physiological bases as this project, in which the loss of cochlear synapses leads to a deficit in auditory processing. Arwa used ABR and FFR recordings similar to those used in the current study. These data will be submitted for peer review in 2017. We are sad to announce that Dr Agnes Leger, lecturer at the University of Manchester and a valuable member of our project team, has decided to leave her position. We thank Agnes for the enthusiasm, insight and rigour which she brought to her time working on the project. Dr Rebecca Millman will take over as a collaborator on the project. Dr Millman has extensive experience in auditory psychophysics, modulation processing and non-invasive imaging of the human auditory cortex. The group have a paper in peer review and have been busy performing extra analyses in response to two contructive and helpful reviews. The paper is much strengthened after careful discussion and consideration in light of the reviews. The team in Manchester visited collaborators in Nottingham to hear how the planning and optimisation work for the function imaging part of the project is progressing. Dr Rebecca Dewey, and conjunction with Professors Sue Francis and Deb Hall has been making good progress on determining the optimal scanning parameters for investigating the structure and function of auditory subcortex. Chris Plack attended the CRS INternational Congress in Valencia and gave a talk in a session focusing on "Coping in Noise". The title of the talk was "Perceptual Consequences of “Hidden” Hearing Loss"
Chris Plack and Agnes Leger attended the Spring Meeting of the Acoustical Society of America in Salt Lake City, Utah. They were both co-chairs of a session entitled "Psychological and Physiological Acoustics: Beyond the Audiogram: Influence of Supra-Threshold Deficits". As part of the session Chris gave a talk outlining the electrophysiological findings from our study. Garreth Prendergast attended the British Society of Audiology annual conference in Coventry (25th-27th April). The conference covered all aspects of hearing from basic science through to applied and clinical research. The description of our current study was deemed to be the winner of the poster competition. Chris Plack also gave a talk to the Hearing Research group at the University of Cambridge. Chris Plack and Garreth Prendergast attended ListenUP!, a 1-day conference and 1-day technical symposium organised by the Health and Safety Laboratory, bringing together academics, audiologists, occupational health and legal specialists to discuss the issue of noise-induced hearing loss. Chris Plack and Hannah Guest also attended the Tinnitus Research Initiative conference in Nottingham, at which Chris presented a talk which encompassed the hidden hearing loss work in listeners with tinnitus and with reported problems with perceiving speech, which is the basis for Hannah's PhD work. Chris Plack also featured (with Daphne Barker) in the Feb/March issue of Occupational Health [At Work] (vol 12/5, pp 15-19) in an article discussing hidden hearing loss and their previous study on occupational noise exposure. Hidden Hearing Loss also featured in an article on blogging site The Hippocratic Post. The second work package of the programme grant started with Prof. Deb Hall and Dr Sue Francis appointing Dr Rebecca Dewey as a three-year postdoctoral research associate. This work package will build on the work already done in Manchester and investigate whether functional MR imaging is able to provide any further understanding of how cochlear synaptopathy manifests itself in humans. Both the Manchester and Nottingham parts of the team met up, along with project partner Prof. Mike Heinz, in San Diego at the ARO Midwinter meeting. We took a poster which presented the large-scale data collection undertaken at Manchester and had some very insightful and productive discussions with researchers in the field. With a new start to the year there is much to look forward to. The first phase of data collection is drawing to a close, which will hopefully lead to the first publication from the grant at some point in 2016. There are a number of international conferences which will be of interest and much exciting work from colleagues in the field to look forward to. An eSeminar by Professor Chris Plack was featured as the Christmas Special by the British Society of Audiology. The Lunch & Learn series covers current topics of interest related to clinical and basic research in audiology and related professions. The eSeminar was uploaded on Christmas Day and focuses on Hidden Hearing Loss. Chris Plack was invited to the University of Leicester to give a talk on Hidden Hearing Loss as part of their Neuroscience, Psychology and Behaviour seminar series. After a quiet summer of testing, participants are now signing up to the study again with gusto and testing continues at a good pace. Hidden hearing loss was again featured in the national media with Chris Plack contributing to an article in the Mail Online. Chris Plack was invited to give a talk at the International Symposium on Auditory and Audiological Research (ISAAR), in Denmark. The session was titled "Hidden hearing loss: neural degeneration in “normal” hearing" and the talk was; Towards a diagnostic test for hidden hearing loss. Chris was unable to make the journey to Denmark due to illness and so Agnès Legér gave the talk on behalf of the group as she was already in attendance at the conference. The start of July marked 1 year of testing completed. 140 people have been screened for the study and 100 full datasets have been collected. Data collection is currently aheady of schedule and means we should be able to begin the subsequent phases of the project on time. Garreth Prendergast and Hannah Guest attended a workshop organised by Dr Annie Jamieson titled Audible Concerns. The meeting gathered scientists, sound engineers, musicians, charities and industry partners to discuss the issue of how do people who work in high noise environments involving critical listening protect their hearing at the same time. Garreth outlined the current hidden hearing loss project and highlighted how a number of aims of the project overlap with many of the issues discussed. Professor Chris Plack attended the 12th Congress of the European Federation of Audiology Societies (EFAS). Chris was invited to the meeting, held in Istanbul, to discuss the potential role of Hidden Hearing Loss in the condition of tinnitus and its impact on central gain mechanisms. 110 people have now been recruited to the study over a 10 month period. The current aim is to have a push on testing for the next few months before spending the summer looking over some of the data. The goal of completing the testing for phase 1 of the project ahead of schedule remains should now be possible. A recent article in the press discussed hearing loss and the fact that many individuals are now of working age when hearing difficulties begin rather than having retired. The article discusses a number of implications and Chris Plack was asked to contribute to explain the potential consequences of Hidden Hearing Loss and to outline how the current body of work aims to develop a diagnostic test for this type of auditory deficit. Chris also attended a workshop on "Hidden Hearing Loss" in Bethesda organised by the National Institutes of Health. The workshop gathered together experts in the field from a range of disciplines to discuss the current issues, advances and future directions for the study of this aspect of hearing. Recruitment has picked up again after a break for the visit to the USA. Prendergast, Guest and Plack had an article accepted for publication in the American Speech-Language-Hearing Association's special interest group on Hearing Disorders. "The relation between cochlear neuropathy, hidden hearing loss and obscure auditory dysfunction". Chris Plack also visited Christian Lorenzi in Paris to discuss themes of auditory processing that are shared by the two groups. Prendergast and Plack visited Mike Heinz in Purdue to discuss recent progress by both labs and discuss short-term and long-term goals. The ARO midwinter meeting was of interest with Hidden Hearing Loss and a number of the electrophysiological techniques we use being showcased by a range of laboratories from around the world. The Heinz and Plack laboratories were joined by Deb Hall for an update on progress and to begin planning for phase II of the project in 2015. A new year with much excitement and anticipation about getting in more and more data for the project. Data collection took a little break over the festive period and the team are preparing for a trip to the ARO Midwinter Meeting. As the Christmas holidays approach testing has slowed down somewhat as a number of participants leave Manchester for the holidays. After a little over 6 months of testing and over 550 hours of psycho- and electro-physiological testing completed, 61 people have been recruited to take part and 46 individuals have currently completed all sessions. Professor Chris Plack was invited to the IHR in Nottingham to present previous and future work on the investigation of hidden hearing loss. Professor Chris Plack was invited to UCL to give a seminar a the Ear Institue titled "Hidden hearing loss due to ageing and noise exposure". Hannah Guest started in the group as a PhD student and will be investigating potential underlying causes of individuals who complain of difficulties in their auditory world despite having a clinically normal audiogram. Many aspects of this work will share similar themes and aims as the main part of the programme grant. 25 people have now been recruited to the study, around half of whom have completed all sessions. Recruitment is currently strong and over the next few months an initial first look at the data can commence in order to prepare for the next stages of the project. Professor Chris Plack attended the Inner Ear Biology Workshop in Sheffield, UK and gave a talk on "Hidden hearing loss: causes and consequences". Testing continues at a good pace. Project partner Professor Deb Hall visited the lab for a catch-up meeting and to look at the setup and protocols in use. The first participants were recruited to the study and the final wrinkles with the testing paradigm were ironed out. The test battery is now ready to go and over the coming months recruitment and testing will pick up pace in order to get the first participants through the 11 hours of testing required. Professor Chris Plack, in collaboration with Dr Garreth Prendergast and Dr Daphne Barker had a review article titled "Perceptual consequences of “hidden” hearing loss" accepted for publication in Trends in Hearing. Piloting and finalising the behavioural and electrophysiological tests has continued and the project is almost ready to move into the early stages of testing. Professor Chris Plack was in Switzerland speaking to Dr Stefan Launer and colleagues at Phonak about hidden hearing loss and future opportuinities and questions. Our Biosemi EEG system arrived and after a quick setup we were able to pilot the electrophysiological measures in order to ensure enough recording sweeps are used. A number of the team from University of Manchester attended a workshop on the Frequency Following Response (FFR) in London and discussed the aplpication of the FFR to investigating hidden hearing loss. The ethics application was submitted and most of the key equipment has now arrived or is in the process of being delivered. The behavoural psychophysics protocols have been piloted and tested and aside from a few amendments and tweaks these are almost ready to be finalised. The steering group met on the 7th of the month and spoke with Dr Michael Heinz from Purdue University, and Dr Ann Hickox who works in Mike's lab, about specific protocols for the project. Professor Jan Schupp visited Manchester and we discussed potential projects for the future related to hidden hearing loss and how cortical processing of speech sounds could be affected. The MRC programme grant started on the 1st of the month and coincided with Dr Garreth Prendergast joining the Auditory and Deafness research group in the School of Psychological Sciences at the University of Manchester to work as a post-doctoral research associate on the project. Initial orders have been placed to begin setting up the labs. Professor Chris Plack attended the ARO conference and there was a strong level of interest on the topic of hidden hearing loss.